“We tried testing this unit, but couldn’t get any sound out of it. 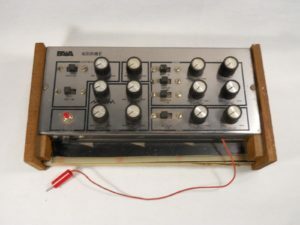 Our hope is for someone with some electronics expertise to repair this synthesizer to its former glory. It has been sitting in storage for quite some time, so it could definitely use a good cleaning.